DIM sum at The Zenith Hotel’s San Feng Chinese Restaurant is back by popular demand but this time with a fusion twist. 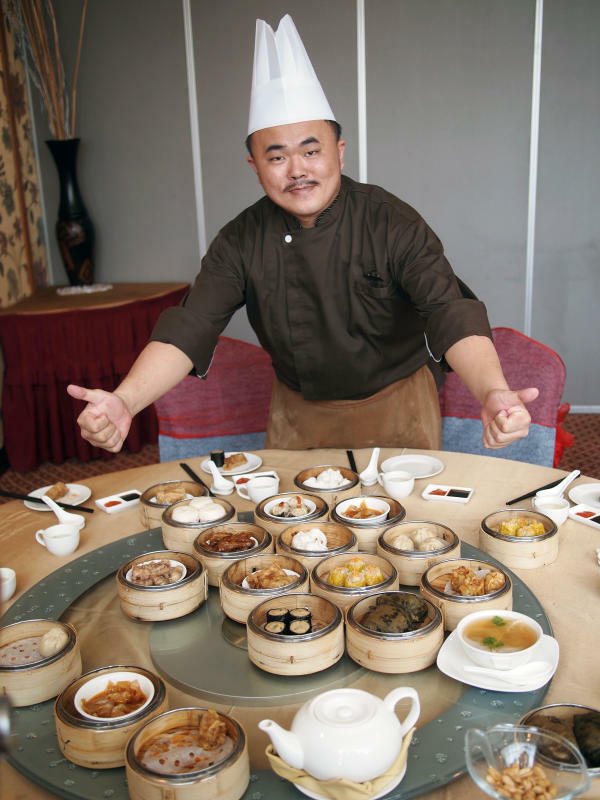 Dim sum chef Ho Tooi Kit has prepared more than 30 varieties, not only in the traditional Cantonese style but also Szechuan and Beijing as well. 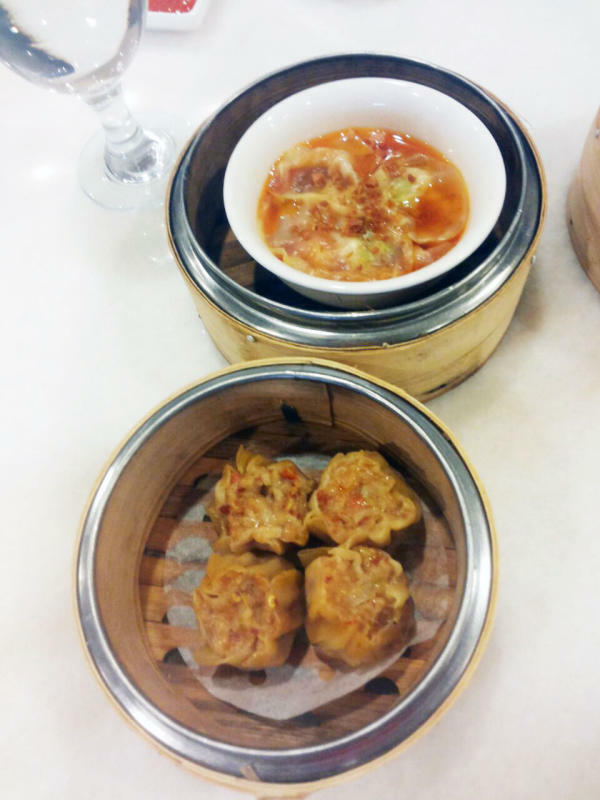 “Normally, dim sum is prepared according to the Hong Kong Cantonese style but I am bringing in something different. “I will be serving a fusion of Szechuan, Beijing and Canton flavours. You cannot find this anywhere else,” he said during a preview held at the restaurant here. Chef Ho presenting some of the dim sum dishes available at San Feng Chinese Restaurant. Ho said a specialty dish was the steamed scallops mushroom soup dumpling. “Fresh mushroom and crab meat are boiled to bring out the flavour for the stock. “The soup is then poured onto scallop dumplings,” he said. Among the other special dim sum dishes to savour are Szechuan chilli oil prawn dumplings and steamed mini Beijing chicken buns. Ho, a specialist with 16 years of dim sum making experience, said dishes would only be served according to guests’ orders at prices ranging from RM6 to RM13.80. Specialty dim sum dishes Szechuan chilli oil prawn dumplings (top) and steamed Szechuan chicken dumplings (bottom). 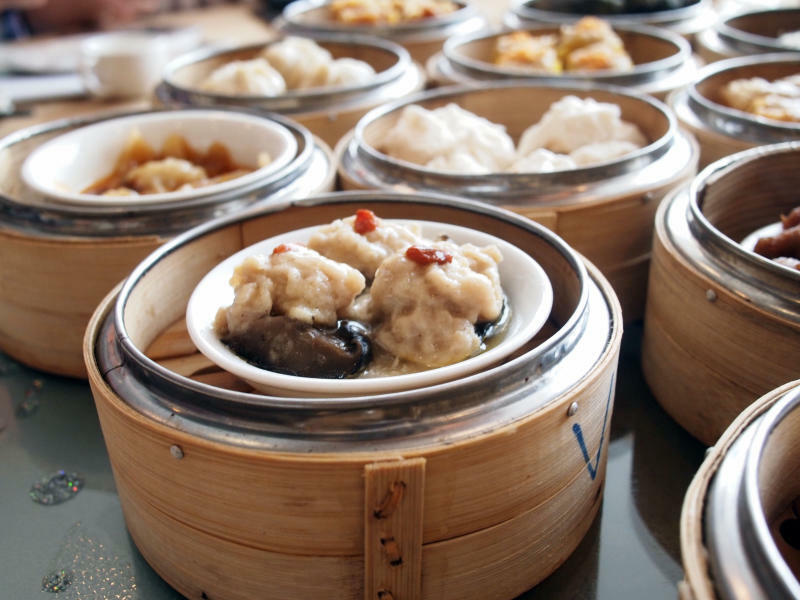 The Zenith Hotel general manager Nathan Vaithi said the restaurant had stopped serving dim sum for six months but guests were always asking for it. “There is a lot of demand for dim sum so we are bringing it back. “We want to keep the high standard that made dim sum at the restaurant popular in the first place,” he said. Dim sum at San Feng Chinese Restaurant is available from Tuesday to Friday from 11am to 2.30pm and from 9am to 2.30pm on Saturday, Sunday and public holidays. Besides dim sum, the restaurant also serves the Hou Sek set lunch at RM25 nett per set. Chinese chef Tan Kar Siang said two different sets, vegetarian and non-vegetarian, would be served from 11am to 2pm from Tuesday to Friday. For more information or reservations, call 09-565 9595 or visit www.thezenithhotel.com.